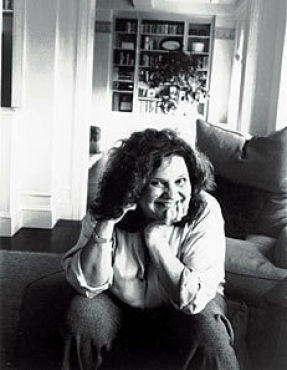 While routinely heralded as the feminist stage voice of the baby-boomer generation, Wendy Wasserstein (1950--2006) spoke to women (and open-minded men) of all ages. I became a fan of her work after seeing The Heidi Chronicles on Broadway in 1989. Arguably her best and certainly her most celebrated play, this Pulitzer and Tony-winning show was both autobiographical and prophetic. The eponymous heroine's transformation from insecure '60s high-school student to ardent '70s feminist was a journey the then 39-year-old Wasserstein had already taken. But she wouldn't embark on Heidi's trip to single motherhood until almost a decade later, at age 48. Sadly, the journey ended prematurely with her death from lymphoma on January 30, at the age of 55. Today the details of The Heidi Chronicles are fuzzy in my memory but its themes continue to resonate for me as well as my mother, who was my date that night at the theater. I was just starting college, so I related to the teenage Heidi, to her sarcasm and intellect's inability to hide her fragile ego. My mother, an IBM systems engineer who was a generation older than Wasserstein, felt a kinship with the older Heidi who, in the last scene, opts to balance her career with parenthood (a precarious act I find myself doing now). On the surface, The Heidi Chronicles was built on clichs about female consciousness as Heidi attempted to find her place in society at different ages, in various eras. But Wasserstein was able to flesh out her stage alter ego with searing emotions, wry wit and conflicts that were powerful in their universality. I followed Wasserstein's career thereafter. I read Uncommon Women and Others and marveled that this breakthrough 1977 Off Broadway play starred up-and-comers Glenn Close, Jill Eikenberry and Swoosie Kurtz—who would all become famous for playing a host of strong characters during the next decade. (That was no coincidence. Like the playwright, these actors belonged to the generation that came of age during the women's movement.) I devoured Wasserstein's essays and was particularly moved by one about her battle with weight. (As a fellow zaftig Jewess, I felt her pain). And when The Sisters Rosensweig opened on Broadway in 1993, I bought cheap balcony tickets and hung on the dysfunctional clan's punch lines and disappointments. As the years wore on, Wasserstein fell somewhat out of favor. Her subsequent plays—including her last, Third, which played last fall at Lincoln Center Theater—received middling reviews and it seemed that Wasserstein was out of sync with the current pulse of social and gender politics. But she wasn't. In 2004 I listened to her speak at the Upper West Side Jewish Community Center. It was the only time I saw her in person and I was struck by how jolly she seemed. As expected, she was concerned about the state of feminism, perhaps more than ever due to her young daughter, and she shared poignant personal stories. Wasserstein was clearly a woman in touch with the world and in touch with herself, and I am convinced she had many more relevant plays left to write. It's a tragedy they'll never see the spotlight of day.